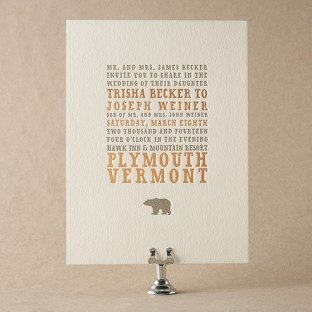 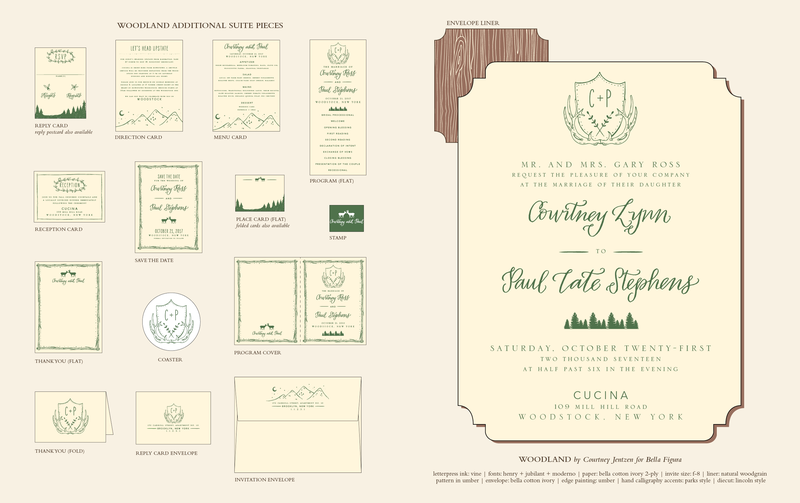 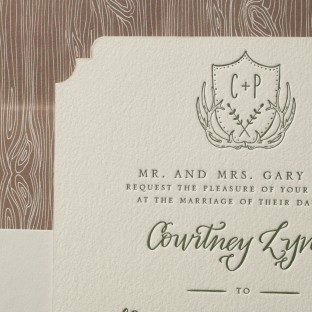 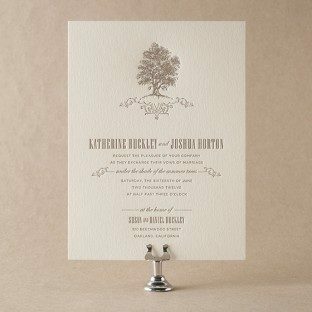 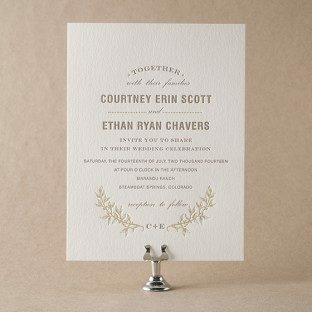 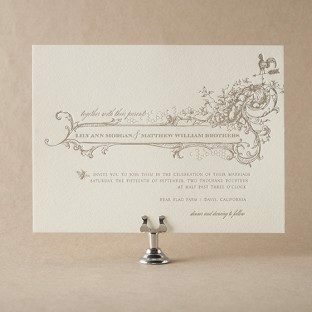 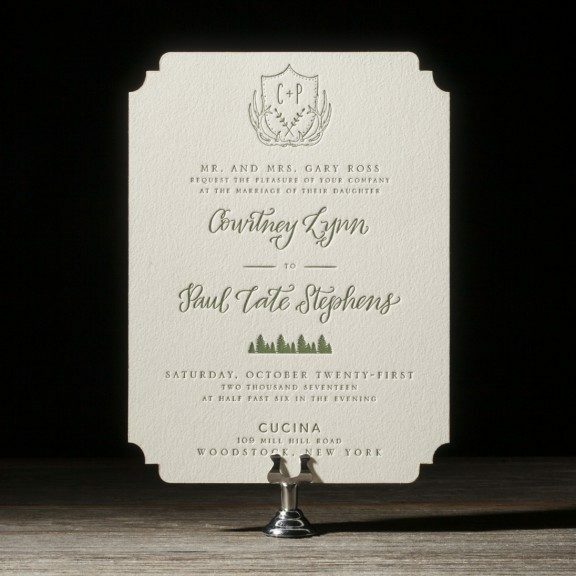 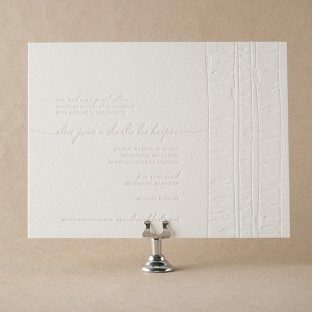 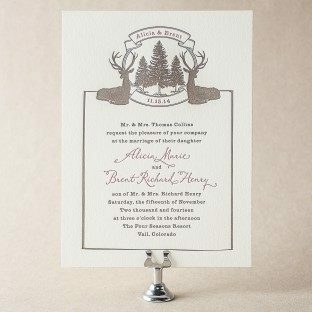 For Woodland, we're imagining quirky weddings with lots of nature inspired goodness - buckets of local beer, upstate New York in autumn, some choice locovore food selections, and eco-friendly letterpress invitations (naturally). 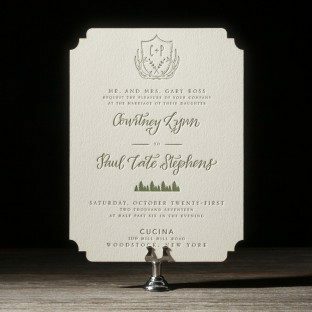 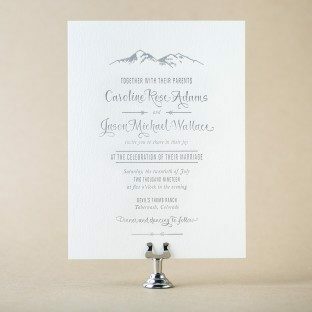 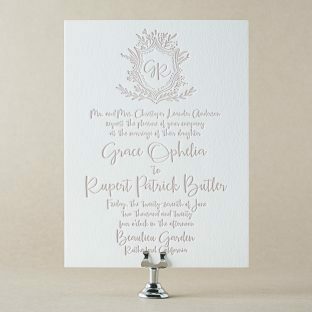 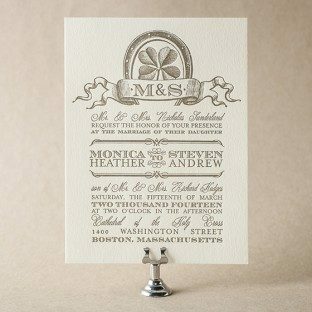 But hey, your exact wedding may differ - fortunately, this original design from Courtney Jentzen is pretty versatile and can accommodate any wedding you can throw at it. 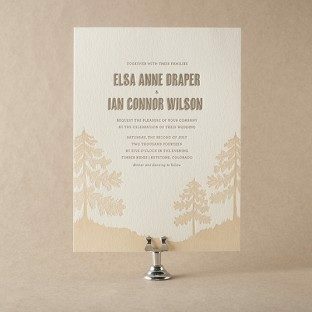 View additional pieces in the Woodland sample suite.